The two-step verification process on WhatsApp will be made available to its 1.2 billion active global users. WhatsApp, the Facebook-owned instant messaging platform, is rolling out two-step verification for all its users in a bid to make the widely popular IM platform safer. 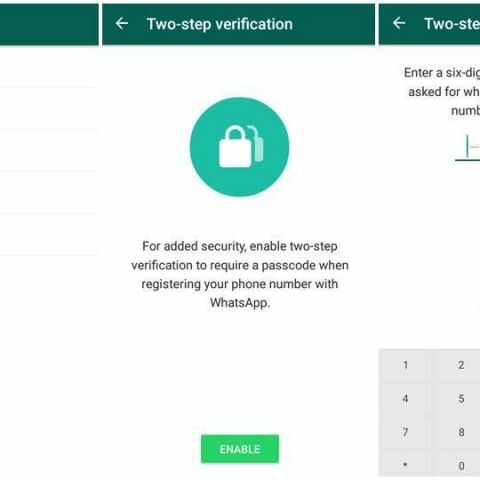 Starting today, an update to include two-factor authentication will be rolled out to all 1.2 billion active WhatsApp internationally, for all three platforms - Android, iOS and Windows. The enhanced safety step was initially introduced as Beta, on Android and Windows devices. Once you update the WhatsApp app, go to Settings > Account > Two-step verification > Enable to get two-step verification started. Once enabled, you will have to enter a 6-digit passcode, which will be required every time you re-install WhatsApp on your device(s). The setup also asks for an alternate email address, which will be used to reset the security passcode in case you forget it. The feature adds an additional layer of security to your account, and is optional by default. "When you have the feature enabled, any attempt to verify your phone number on WhatsApp must be accompanied by the six-digit passcode that you choose," WhatsApp explains in a press statement. Lately, WhatsApp has introduced a flurry of new features for the platform. The service recently gained video calling and GIF support. The service also increased its media sharing limit from 10 to 30 images or videos at once. Along with adding new features, WhatsApp is also trying to make the service secure for its users.